First of all you must know and understand that it is by grace you have been saved. It is not because of your good works, keeping the Law etc.. But if you count yourself religious and still rely on the law to be forgiven and saved, than yes, you must study them and understand and keep. Secondly I would like to add that for the word “law” in Hebrew in regard to these 10 commandments correct translation should be “principles.” God gave not only to the Jews but to whole world principles by which if lived, than there can be love, joy, peace and other blessings in person’s life. If not, than people by transgressing these 10 principles afflict their own souls and suffer consequences because of that. Therefore that is true, that loving God (absorving His Principles for godly life) and loving others is the most important thing to do. If we always act in love, believe me, we will never transgress any of God's given principles and our conciousness always will be clean. Thirdly, any command or principle is with much more greater emphasis from that how we often see and comprehend them. For example it is said: “you shall not murder.” We directly imagine murdering human being. But actually it is said also: “if you are angry at your brother or sister…” you are broken this one commandment already. You are murderer in your heart. And again I say to you - it is possible to murder human being with the word. Furthermore, it is extremely important to understand that the main reason why the Law was given is, to show people that they are utterly sinful from the birth and they are in great need of Redeemer which is Jesus Christ. Galatians 3:19. Since we have Redeemer already (to everyone who accepts Him and begin to follow His principles), each and every Law, commandment and decree (all together 613 presented in the books of Mozes), are fulfilled by Jesus Christ. He did it for you on the Roman cross. Now, as He through the Holy Spirit begins to work in you, you will be made able to love GOD and love others as yourself. That will be by the grace and power which will come on you from God. You will be able to walk with God and live holy, godly life. All commandments shows us one thing -that we are absolutely hopeless sinners and only by the God's own provided way - Jesus Christ, and by His grace we can have hope. Without Him in our hearts and lifes we are lost already for eternity. Not you nor I nor any other human being on this earth has been or will be able to fulfil even one of the smallest commandments. So, trust in God and trust in Jesus; "walk by the Spirit, and you will not gratify the desires of the flesh." (Galatians 5:16). Jesus said that if we are angry at our brother or sister than it is equal to murder. (Matthew 21:22). Come to Me, all you who are weary and burdened, and I will give you rest. Let anyone who is thirsty come to Me and drink. Turn to Me, He says, and be saved, all you ends of the earth; for I AM God, and there is no other. Matthew 11:28; John 7:37 Isaiah 45:22. How can we do any good when our intentions and thoughts are so evil at a times!? How can we love God when so often do not see that somebody is in need? How can we lie not when sometimes it is just happening by itself or as we might think it is with good intension? How can we covet not when around us so many nice things and we want so much? How can we live and steal not when so often go ahead stealing the praises which could be given to God alone; or by taking paper sheet at work place etc. And don' t we think that we murder not when maybe somedy's soul is injured just by innocent joke from us; or really kiled by our harsh words? How can we keep any of Law given by God through Mozes? Only by the help of God our Father through Jesus Christ our Saviour by His Good Holy Spirit which abides in us, strengthens us, encourages, teaches and leads. (1 Corinthians 6:19). Now all praise and glory to God for: "there is now no condemnation for those who are in Christ,because through Christ Jesus the law of the Spirit who gives life has set you free from the law of sin and death' (Romans 8:1-2). "Now, our God, we give You thanks, and praise Your glorious Name. We thank You Father for Your indescribable gift to us!" In Jesus name. Amen. The 10 Commandments in general. Summarized List in Short Form. 1. I am your God! You shall have no other gods before Me. Exodus 20:1-3; Deuteronomy 5:6-7. 2. You shall not make idols. Exodus 20:4-6; Deuteronomy 5:8:10. 3. You shall not take the Name of the LORD your God in vain. Exodus 20:7; Deuteronomy 5:11. 4. Remember the Sabbath day, to keep it holy. Exodus 20:8-11; Deuteronomy 5:12-15. 5. Honor your father and your mother. Exodus 20:12; Deuteronomy 5:-16. 6. You shall not murder. Exodus:20-13; Deuteronomy 5:17. 7. You shall not commit adultery. Exodus 20:14; Deuteronomy 5:18. 8. You shall not steal. Exodus 20:15; Deuteronomy 5:19. 9. You shall not bear false witness against your neighbor. Exodus 20:16; Deuteronomy 5:20. 10. You shall not covet. Exodus 20:17; Deuteronomy 5:21. The 10 Commandments List in Exodus 20:2-17. 2. "I am the Lord your God, who brought you out of Egypt, out of the land of slavery. 3. "You shall have no other gods before me. 4. "You shall not make for yourself an image in the form of anything in heaven above or on the earth beneath or in the waters below. 6. but showing love to a thousand generations of those who love me and keep my commandments. 7. "You shall not misuse the name of the Lord your God, for the Lord will not hold anyone guiltless who misuses his name. 8. "Remember the Sabbath day by keeping it holy. 10. but the seventh day is a sabbath to the Lord your God. On it you shall not do any work, neither you, nor your son or daughter, nor your male or female servant, nor your animals, nor any foreigner residing in your towns. 11. For in six days the Lord made the heavens and the earth, the sea, and all that is in them, but he rested on the seventh day. Therefore the Lord blessed the Sabbath day and made it holy. 12. "Honor your father and your mother, so that you may live long in the land the Lord your God is giving you. 14. "You shall not commit adultery. 16. "You shall not give false testimony against your neighbor. 17. "You shall not covet your neighbor's house. You shall not covet your neighbor's wife, or his male or female servant, his ox or donkey, or anything that belongs to your neighbor." The 10 Commandments List in Deuteronomy 5:6-21. 6. "I am the Lord your God, who brought you out of Egypt, out of the land of slavery. 7. "You shall have no other gods before me. 8. "You shall not make for yourself an image in the form of anything in heaven above or on the earth beneath or in the waters below. 10. but showing love to a thousand generations of those who love me and keep my commandments. 11. "You shall not misuse the name of the Lord your God, for the Lord will not hold anyone guiltless who misuses his name. 12. "Observe the Sabbath day by keeping it holy, as the Lord your God has commanded you. 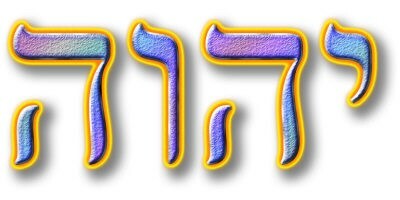 14. but the seventh day is a sabbath to the Lord your God. On it you shall not do any work, neither you, nor your son or daughter, nor your male or female servant, nor your ox, your donkey or any of your animals, nor any foreigner residing in your towns, so that your male and female servants may rest, as you do. 15. Remember that you were slaves in Egypt and that the Lord your God brought you out of there with a mighty hand and an outstretched arm. Therefore the Lord your God has commanded you to observe the Sabbath day. 16. "Honor your father and your mother, as the Lord your God has commanded you, so that you may live long and that it may go well with you in the land the Lord your God is giving you. 17. "You shall not murder. 18. "You shall not commit adultery. 19. "You shall not steal. 20. "You shall not give false testimony against your neighbor. 21. "You shall not covet your neighbor's wife. You shall not set your desire on your neighbor's house or land, his male or female servant, his ox or donkey, or anything that belongs to your neighbor."